Of all the chakras present in your chakra system, the 7th one probably invites the most skepticism. In Sanskrit, it’s known as the Sahasrara and in English, it’s called the Crown. This chakra exists at the very top of the chakra system and hovers slightly above your head. You could consider this chakra to be akin to a halo. It’s your connection to the spiritual energy and to divinity. This chakra takes you away from the problems of the earthly realm and allows you to experience peace and spiritual harmony. The crown chakra hovers slightly above your head. It’s shaped like a round skull-cap and will either be white or purple in color. The name Sahasrara means a thousand petals and it looks like a lotus. As the lotus flower is almost always associated with divinity, this image of the crown chakra isn’t surprising. The chakra aura colors it is associated with is the color violet. The chakra is physically associated with the central nervous system and the cerebral cortex. It’s also associated with the pineal gland. Unfortunately, it’s also a chakra that’s often ignored. You’ll know why when you consider the aspects it influences. The crown chakra is associated with knowledge and learning. Most people mistakenly assume that the third eye chakra is associated with knowledge and learning because it sits in the middle of the forehead. Crown chakra has command of this aspect because knowledge and learning are external energies that are pouring into your body and enriching your entire chakra system. The more you learn, the healthier your soul and mind will be. Learning and knowledge is also associated closely to spiritual development, which is the domain of the crown chakra as well. This chakra is responsible for awareness and understanding as well. It helps you grasp the intricacies of spirituality and divinity. But that’s not the only influence it has. This chakra will help you with your profession and education as well. The biggest obstacle for this chakra is your attachment to material needs. If you’re a person who loves to possess things, you like to have money and spend it frivolously; you’ll find it very difficult to get the full benefits of this chakra. Attachment to material wealth is the biggest hindrance to knowledge and spirituality. 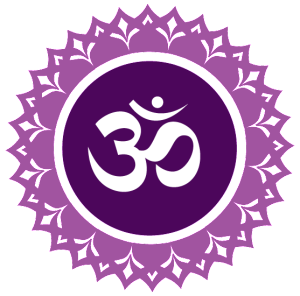 As materialism is rife in modern society, people often find it very difficult to connect with the crown chakra. This is also a chakra that favors honesty and truthfulness. If you aren’t a generally honest person, this chakra won’t be balanced and that can affect your spiritual well-being. Understanding chakras and auras will help with being self-aware, being detached from material possessions, being honest, and connected to divinity. Achieving all of these will give you an unprecedented level of peace and serenity. When you understand the importance of balancing your chakras, your entire chakra system is influenced by it. This is a state of being that frees you from the shackles of this world and allows you to live in harmony with other aspects of it. You’re not inclined to greed or violence and all manner of stress would just roll of your back.